We take the National Safety Stand-Down very seriously every year. 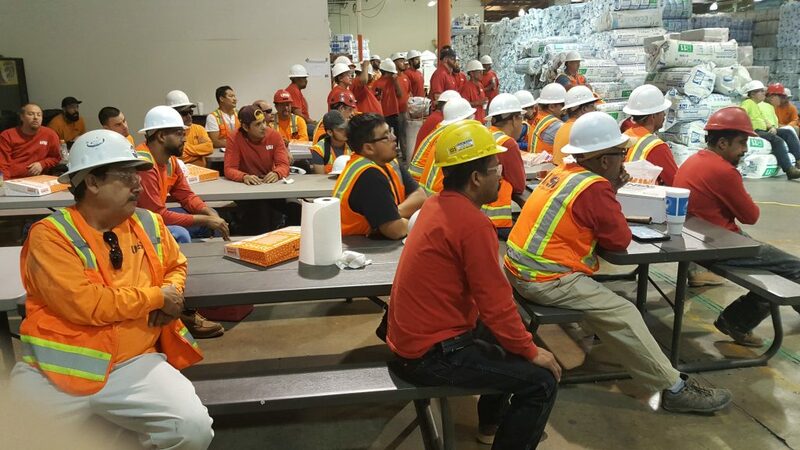 Everyone in the company is asked to stop, stand-down, learn a new safety lesson, think about safety, teach it, and talk about it. Most importantly, we want everyone to feel good about advocating for safety. Our goal every year during the safety week is for every employee, from a new installer to a senior manager, to gain more respect for (and interest in) safety culture. We do this by getting everyone to personally relate to a safety lesson. When you learn something new and you feel a personal connection to it, you master the lesson. Further, when you master something, it is easier to teach to others. 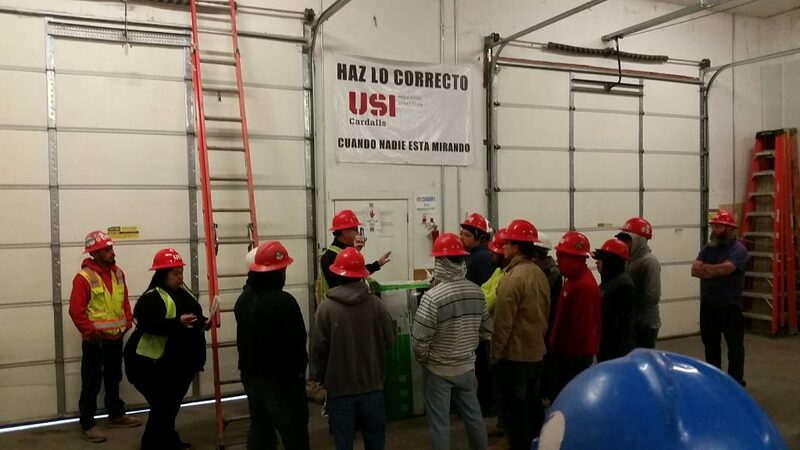 Our branch in Springville, Utah conducted their safety topic on stilts, with individual training documentation. We worked to provide training for our team members who use stilts on a daily basis. The USI Phoenix branch invited some industry safety experts in to give the crews an in-depth safety training on Louisville ladders, since ladders are the one tool everyone uses. The team discussed the four major ladder types (A-frame, platform, cross step and extension) and went over the do’s and don’ts of how to inspect, use and store the ladders we use. Examples of real people within our company where shared of how slips trips and falls, especially from ladders, has negatively impacted their lives to help drive the point across and tie it all in by asking everyone to think about their own family when they are working. Richard Watkins, Garage Door Manager, USI Cardalls, presented a fantastic safety training meeting for the Utah residential installation teams. NIOSH has a mobile app that identifies the ladder angle. Richard helped the installers add it to their phones when the ladder inspection training was complete. The team from USI Savannah re-inspected all installer ladders this week and replaced with new Warner platform ladders as needed. USI Allied used a video “Ladder Safety in Construction Environments” in their training and centered the discussion around ladder safety, checking the ladder for safety concerns, setting up the ladder safely, and first aid in the event of an accident. USI employees across all our branches participated to raise awareness about the dangers of falls, the leading cause of death in construction. Along with morning safety talks, safety week curriculum consisted of practicing lessons, talking about safety hazards, and learning from others. According to the Bureau of Labor Statistics, 370 of the 991 construction fatalities in 2016 were caused by falls from elevation. All were preventable.